Ask fellow campers about "Brattleboro North KOA" and nearby attractions. We will consider alternatives before staying here again. We stayed overnight based on the reviews on this site. All of these campers giving great reviews must not watch TV. The analog cable is awful and unpleasant to watch. The trees keep you from getting satillite, and we couldn't get any over the air channels. The campground is easy to find. The staff is pleasant. The campground is easy for a big rig to navigate. The site was long enough so that we could keep our toad attached. The utilities were at the rear of our site which is difficult. The water connection was with the other utilities, but had to be turned on on the other side of your RV. Odd. The Tengo wifi is just not worth the effort so we used our hotspot. As with most KOAs it is ovepriced. We camped at Brattleboro North KOA in a Motorhome. We had a pull through. It was level and had a grassy area on the curb side with a big shade tree and picnic table. Staff was friendly and helpful. Park was clean and everything worked as it should. The sites are rather close, but I expect that at a KOA. 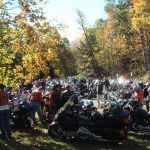 The location is great for touring southern Vermont and New Hampshire. We camped at Brattleboro North KOA in a Fifth Wheel. Nice sites. Nice owners. Dogs enjoyed the dog park. Clean park with garbage cans around. Cute goat mascots. We like it here. We camped at Brattleboro North KOA in a Fifth Wheel. We all know KOA's run the full range from excellent to really s***y. This campground is in our top 5 and it is a Journey level. The grounds and buildings were immaculate. There was nice space between sites and our pull through was long enough to not have to unhook. The staff could not have been more friendly. 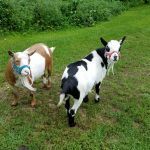 If you're traveling near southern Vermont definitely consider this KOA! We camped at Brattleboro North KOA in a Motorhome. Clean, friendly park. Laundry room was clean. $2.00 to start laundry. Good location. Staff was great. I would give higher marks but, there are issues. The parking spots were too short & the trees needed to be trimmed back a bit. I had to back out of a pull thru due to the branches on the tree and the water pedestal in the site in front. Not all sites have sewer but they do offer 1 free honey bucket visit. 2nd visit is $10. Park charges $10 dollars per visitor. Really stinks if family stops over to get you. My sister came to pick us up for dinner. You have to pay for them just because they came to your site. First time I have encountered this. Save money, have them pick you up out front of the KOA. Admin note: Park website advises visitor rates vary from $4 to $12 depending on length of stay. We camped at Brattleboro North KOA in a Motorhome. 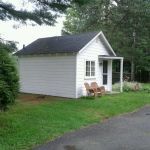 Easy to get to from I-91 and not to far from Battleboro. Main problem was the cable tv which provides a poor picture more often than a clear one. Well maintained campground and friendly owners/staff. Need to trim more trees for Big Rigs access. 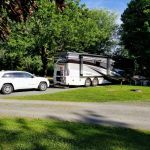 We camped at Brattleboro North KOA in a Fifth Wheel. Depending on the season, lots to do. Don't miss out on a movie at the downtown movie theater. It is a 1938 building. If possible make it to a NEYT performance. Whetstone Restaurant was a fun dining experience. The VT/NH state line runs right through the middles of the restaurant. Enjoy a drink in the rooftop bar. A gem, really a gem of a campground. Clean, quiet, grassy. A right sized campground. Sites amply sized. CG clean, facilities clean. Staff helpful and cheerful. Most sites pull thru. Firewood that's actually dry. Would we stay here again? Yes! You wish all CGs would be this great. We camped at Brattleboro North KOA in a Motorhome. This is a fantastic campground. The owners and staff are very friendly. The bathrooms and showers are kept clean. They serve delicious food at the snack bar. This is a yearly stay for me. We camped at Brattleboro North KOA in a Motorhome. Check-in was great. Manager checked us in. Worker was out mowing the lawn so the manager hopped into a golf cart & took us to our site. Very quaint, quiet campground; nice long sites, spacious in between neighbors, shady site but I was able to lock in on my roof satellite dish. I used the laundry room and it was immaculate and plenty of room to fold clothes. Washers & dryers were $2.00 each and it only took one dryer cycle to dry the clothes. Kid friendly. Wifi is fine. Big bang for your buck. We camped at Brattleboro North KOA in a Motorhome. Shady sites, reasonable space. Overnight stop while traveling. Wasn't quite level but close enough to stay hitched. We camped at Brattleboro North KOA in a Fifth Wheel. This is not your typical KOA. It is a rather small, more intimate campground. They do offer some kid's stuff and a pool, but it is not too crazy as so many KOA's seem to be. Most of the sites are pull-thru's and they are more spacious than is typical. There are lots of trees for shade. Brattleboro offers lots to do; it's a cute town with some interesting restaurants, and many trails to hike or bike. We hiked the Back Mountain Trail and found it to be a challenge! We would here only for a weekend and would definitely come again. We camped at Brattleboro North KOA in a Motorhome. Small park but were able to accomodate us in overflow. Very nice owners. We camped at Brattleboro North KOA in a Motorhome. Very helpful staff. Called a local farm co-op to learn if they had farm fresh eggs before we drove over. They offer a breakfast snack shack. Nice place. 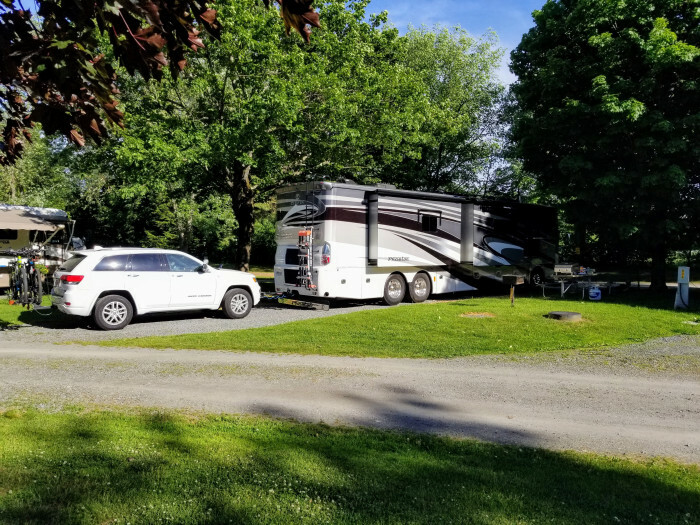 We camped at Brattleboro North KOA in a Fifth Wheel. Very nice KOA as sites gave you some space. Two hoses to reach water but it worked fine. Grass was a little sparse from people using rugs and killing grass. Fine until it rains. Dog park nice but next to pony corral which distracted dogs from the reason that they were there. Kudos to the bright person that put garbage cans around the park. Nice cabins to rent. Food trailer most evenings. Roads OK. Will return. Dish service iffy depending on site. Verizon OK. We camped at Brattleboro North KOA in a Fifth Wheel. We have been coming to this campground for at least 10 years and have a pleasant stay each time. Owners are very friendly and really try to accommodate guests and groups. The people that we've met over the years, are very respectful of each other and our children have made lasting friendships with other campers. This is a small family friendly and safe campground with owners that take pride in what they do! Bathrooms are cleaned minimum once a day, lawn is always mowed, sites are clean with garbage pickup on site. Very welcoming and convenient for exploring what VT has to offer! 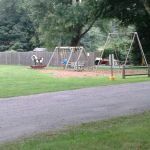 We camped at Brattleboro North KOA in a Travel Trailer. Check out Harlows for the maple syrup; Sams for great shopping, and of course the many hiking areas around! We love Brattleboro and its unique vibe! Easy off and on the interstate with large grocery store and restaurants nearby. Brattleboro was nearby and worth a visit. Brattleboro had the Strolling of the Heifers, which was very interesting. Visited Hogback Mountain with view of three states. Visited longest wooden bridge in Vermont, 15 minutes away. 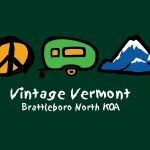 Are you affiliated with Brattleboro North KOA ?